FSSAI has decided not to allow further extension for the Licensing & Registration of all food businesses under the new act. 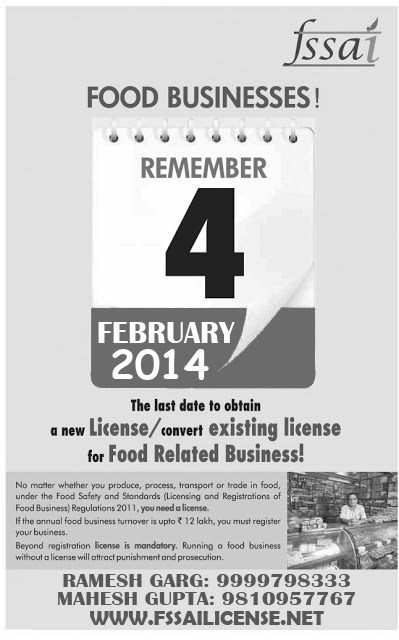 The Food Safety and Standards Authority of India (fssai) has said that the last date has already been deferred twice in the past on request of Food Business Operators (FBOs). nice blog !! i was looking for blogs related of Fssai License . then i found this blog, this is really nice and interested to read. Time Is Running Out.. !